Falls are the leading cause of injury-related death among seniors and the leading cause of nonfatal injuries and hospital admission for trauma, according to the Center for Disease Control and prevention. A stay at an acute-care facility puts seniors particularly at risk for falls. 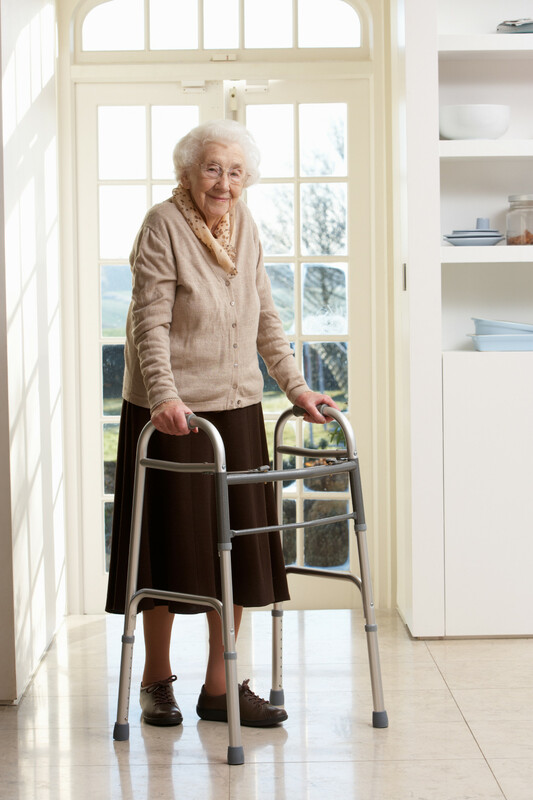 When seniors are discharged home, they may be confused or weakened increasing the risk of a fall. Fall-prevention steps need to be taken, but most people don’t know what those steps are. Over the past month, I’ve discussed ways Preferred Care at Home has worked to come along side hospitals and seniors in an effort to reduce readmission rates. Through the creation of the Personal Health Record, Preferred Care at Home provides ways to combat four main readmission risks for seniors: (1) poor medication management, (2) missed follow-up appointments, (3) falls, and (4) Lack of education about caring for chronic illness. The Personal Health Record educates seniors on four ways to reduce the risk of falling, which in turn reduces their risk of readmission. 1. Exercise. Perhaps the best thing seniors can do to reduce the risk of falls is to exercise. Activity that improves balance and coordination, such as tai chi, is best. The Smooth Transition coach will encourage movement according to recommendations of the senior’s physical therapist. 2. Medication Evaluation. The Personal Health Record urges seniors to have a doctor or pharmacist evaluate current medications for risky side effects. 3. Regular Eye Exams. When is the last time you had an eye exam? Seniors may need to have their glasses or contact prescription updated or have a condition such as glaucoma or cataracts that limits vision. Poor vision can increase seniors risk of falling. 4. Home-Safety Evaluation. The Personal Health Record provides suggestions to ensure a safe home environment such as removing tripping hazards, installing grab bars and improving lighting. Preferred Care at Home understands the necessity of a safe home and offers complimentary 53-point home safety evaluations. Falls can happen to anyone. Seniors who have recently been discharged from the hospital are especially vulnerable. Smooth Transition Care and the Personal Health Record was created to help educate seniors and their families on steps that can help reduce the risk of falls. If you have questions about Smooth Transition Care or are interested in our 53-point Home safety evaluation, contact a location near you. My grandmother was always very healthy until the day she fell and broke her leg. It took her a long time to heal, and even after that time she was afraid of it happening again and her health has steadily declined since that time. Preventing falls is key, but it’s also important to learn from it and get back to being as active as you can be, to help maintain health. You are absolutely right, fall prevention is not simply home safety. I hope you grandmother is regaining her health and confidence. Thank you for your comment.